Recently, by email, I got back in touch with Robert Wright, whom I first got to know as he created and guided architectural tours around Buenos Aires. While a relative novice in the city then, Robert had a good background for such work, having spent several years leading trips for Rick Steves in Spain and Portugal, and contributing to Steves’s Europe Through the Back Door guidebook series (It was purely coincidental that Steves’s series and Moon Handbooks, to which I contribute guidebooks including Buenos Aires, are under the umbrella of the same publisher, Avalon Travel Publishing). 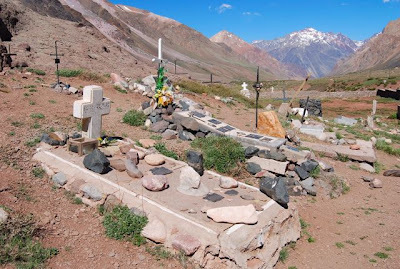 Devoted to detail, Robert mapped these same tours and even created the first accurate map of the Cementerio de la Recoleta, one of the world’s elite boneyards - right up there with London’s Highgate and Paris’s Pere Lachaise. While he has retired from leading tours in Buenos Aires, he has continued his research on the city and founded the website Endless Mile to distribute walking tour guides, including the central Plaza de Mayo, the underrated Once neighborhood, and a survey of the city’s domes. 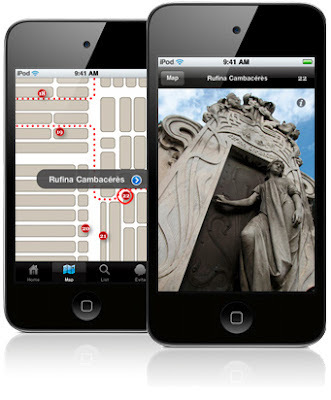 These he sells as PDFs but, more recently, he has created an iPhone app for Recoleta that I have just had the pleasure to review. While it’s not so comprehensive as the PDF version (which covers some 70 tombs), the app plots a walking tour of 25 of the most significant sepulchers, with special attention to Evita. It also deals, though, with lesser known but equally unusual stories such as that of Rufina Cambaceres, a 19-year-old who, legend says, was accidentially buried alive here. The app, which works equally well on the iPad or iPod Touch, has a portability advantage over the PDF version and, presumably, it will be easy to revise and expand. Since I’ll be in town next week, I’ll have a chance to ask Robert what his plans are before I fly to Santiago to complete work on the next edition of Moon Handbooks Chile. 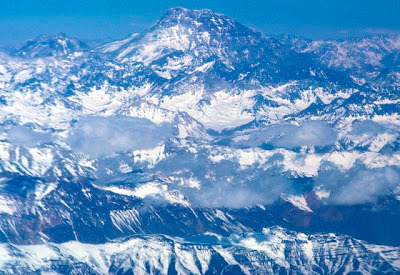 Every year, climbers of greater and lesser ability attempt to climb Cerro Aconcagua, the “Roof the Americas,” in Argentina’s Mendoza province. 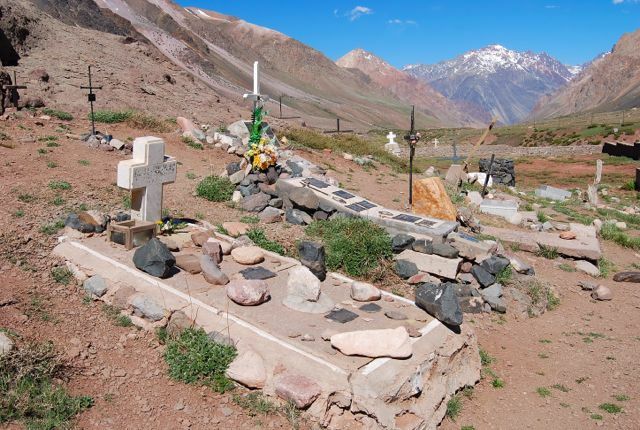 While it’s a walkup, at least by the conventional northern route, its elevation and unpredictable weather have cost the lives of even experienced mountaineers; the cemetery at Puente del Inka, along the highway to Chile, is a somber reminder of the fact. But how high is the Roof of the Americas? 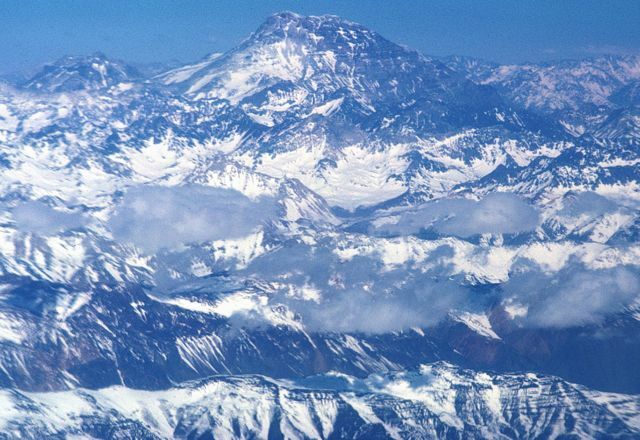 Most contemporary sources agree on 6,962 meters (22,841 feet), but a recent article in the Buenos Aires daily Clarín asks whether it “measures more than the 6,959 meters [22,831 feet] we learned in school?” The latter number was an official figure dating from 1956 and, with that in mind, a team of Argentine climbers is heading toward the summit to re-measure the peak with the latest technology. Even in such a tectonically active area as the central Andes, it seems unlikely the peak could have risen so far in such a short time, and my guess is that more recent figures, while unofficial, are more accurate.